Tommy LaSorda didn’t win a single game as a big league pitcher; he did win 1,599 games as manager of the Los Angeles Dodgers. He led his team to eight division titles, four pennants and two World Series championships in his 20 years as skipper. Fans know him for bleeding Dodger blue, his rah-rah style, those never-ending arguments with umpires, occasional profane rants, and a love for pasta dishes and his Italian roots. Phil Konstantin photo. Tommy Lasorda has spent 66 consecutive years with the Dodgers. He served in the Army and likes to be the toughest guy in the room. Self-confidence? 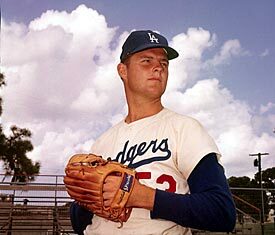 During his playing days, LaSorda recommended to Dodgers GM Buzzie Bavasi that the team cut loose a different lefty … Sandy Koufax. Koufax became a Hall of Fame pitcher, of course. LaSorda went 0-4 in the Majors. Tommy probably still thinks he was right, though. 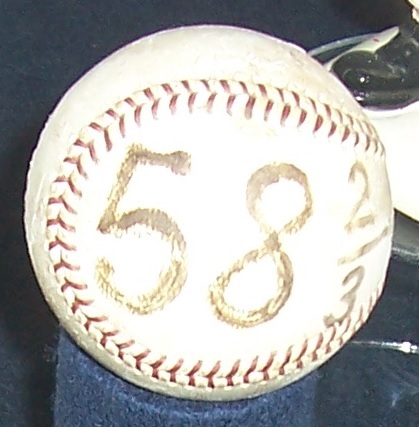 In his 1985 autobiography The Artful Dodger, LaSorda acknowledges 544 of his closest friends. In his 2007 follow-up, I Live for This, he calls managing the 2000 Olympic baseball team to a Gold Medal his greatest managerial thrill. 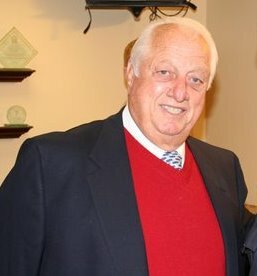 LaSorda, who retired as Dodgers manager following a heart attack in the 1996 season, works for the club now as Special Adviser to Chairman Mark Walter. He has 66 years of continuous service with the team, one more year than broadcaster Vin Scully. Tommy LaSorda’s Trattoria opened in April at Dodger Stadium. He remains one of the game’s biggest fans and Dodger cheerleaders. The camera occasionally pans in LaSorda’s direction at home games. You can see Tommy, sometimes sharing a story with a friend, sometimes snoozing. He is, some say, the Dodgers’ living, breathing mascot. 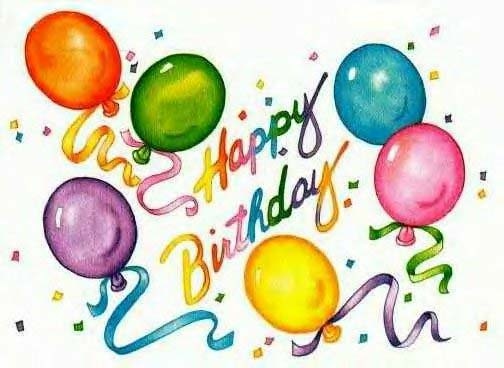 Happy birthday, Tommy.